The K-Swiss Aero Court Clay men's tennis shoes were inspred by the Aero Knit design. The synthetic leather upper was made stronger adding stategically positioned thermo plastic inserts for greater support, while the Surge midsole offers cushioning and optimal energy return. The Aosta 7.0 sole is resistant, flexible and durable, adapt to clay courts. 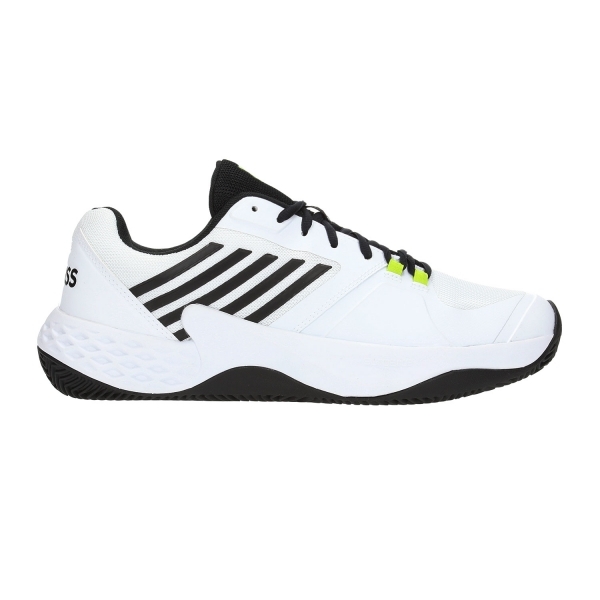 Aimed at players looking for stability and cushioning on the court without giving up comfort.